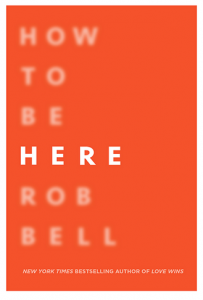 Rob Bell’s new book, How to Be Here: A Guide to Creating a Life Worth Living, is going to hit the bookstores soon. And Rob will start a multi-city tour. And do the Oprah thing. 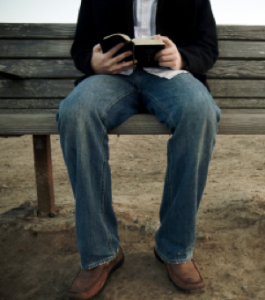 The doctrine-denying author’s latest book promises yet another round of worldly, self-focused fulfillment. Not in Christ, but in, you know, you. Do you ever feel like you’re skimming the surface of your own existence? Like you have more options and technology and places to go and things to do than ever and yet it feels at some level like you’re missing out? Like you’re busy, but it’s not fulfilling? That’s why I’ve written How to Be Here, to help us live like we’re not missing a thing. Because that’s what we all want, right-to feel like we’re fully present, here, and nowhere else, creating a life worth living. Rob gives you the support and insight you need to silence your critics, move from idea to action, take the first step, find joy in the work, persevere through hard times, and surrender to the outcome. It isn’t surprising that the name of Jesus Christ is not even mentioned in any of the promotional materials, not even on his own site. 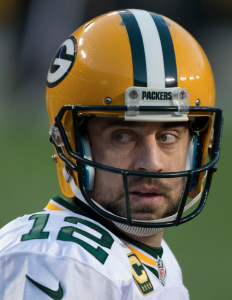 As someone who is writing from the shadow of Lambeau, I can tell you that Christians around these parts are convinced that Aaron loves the Lord. I pray that someone disciples him in the truth that Rob Bell should not be influencing any professing Christian.